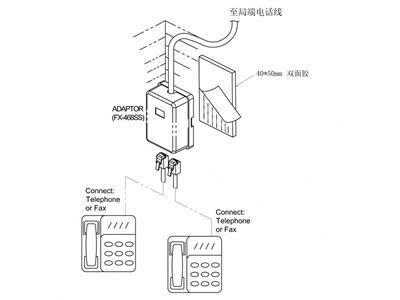 A communication adapter, expanding one single American (RJ11/RJ12) socket to two same standardized sockets, which adapts to the connection of two phones, fax machines or any communications equipment. 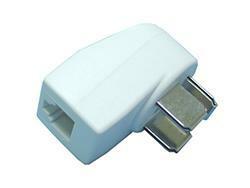 * The adapter is split into two sockets, and can be functioned to extend the fixed socket to elsewhere. 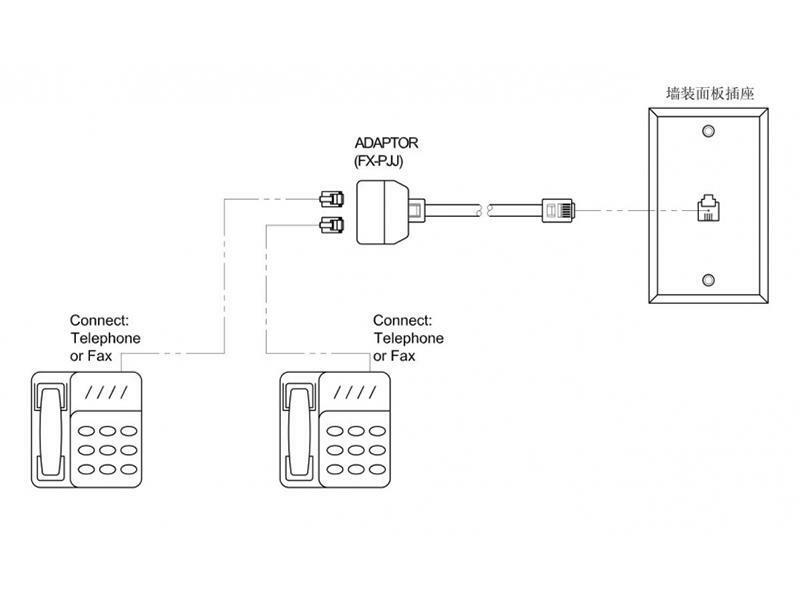 * Plug your adapter into the wall socket panel. 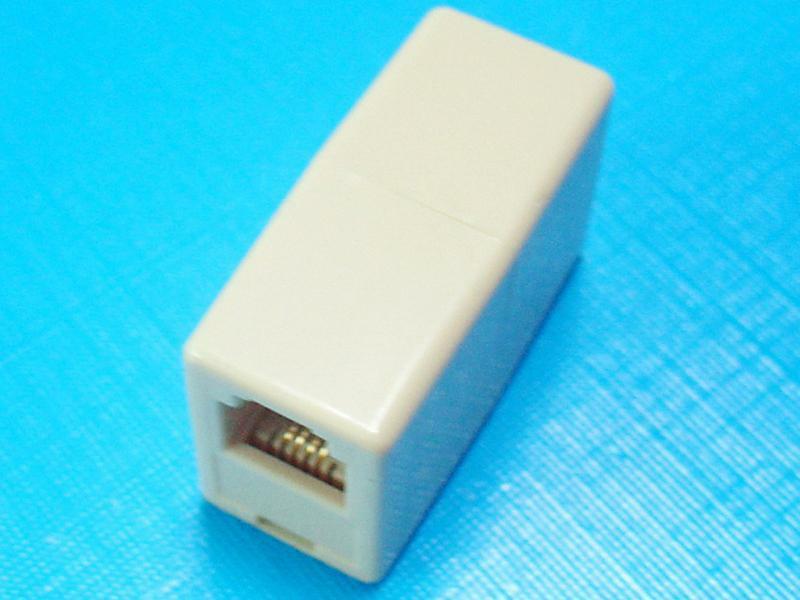 * The splitter adapter features two RJ11 female sockets, which can satisfy the needs of connecting one or two telephones (or fax machines). A communication adapter, expanding one single American (RJ11/RJ12) sockets to three same standardized sockets, which adapts to the connection of three phones, fax machines or any telecoms equipment. 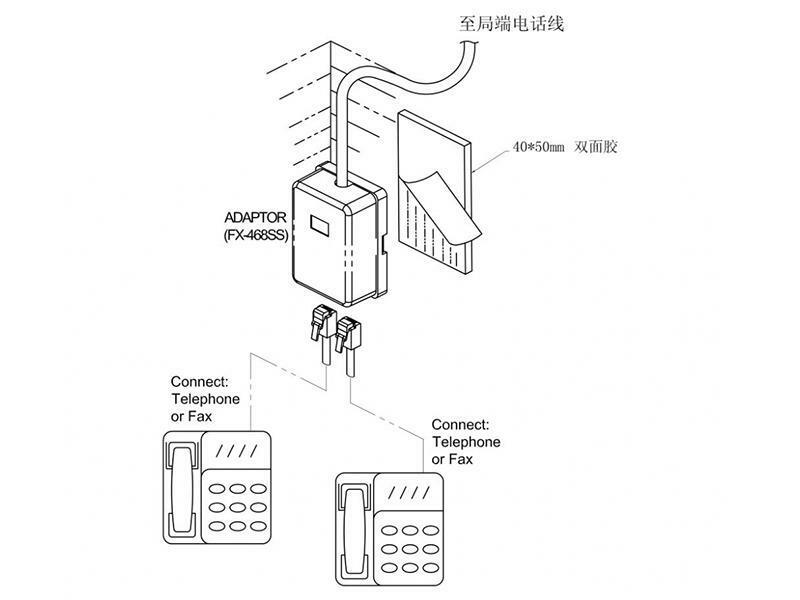 * The communication adapter is split into three, i.e. 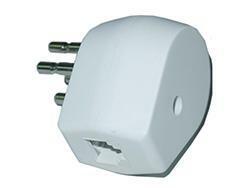 expands one socket to three sockets. 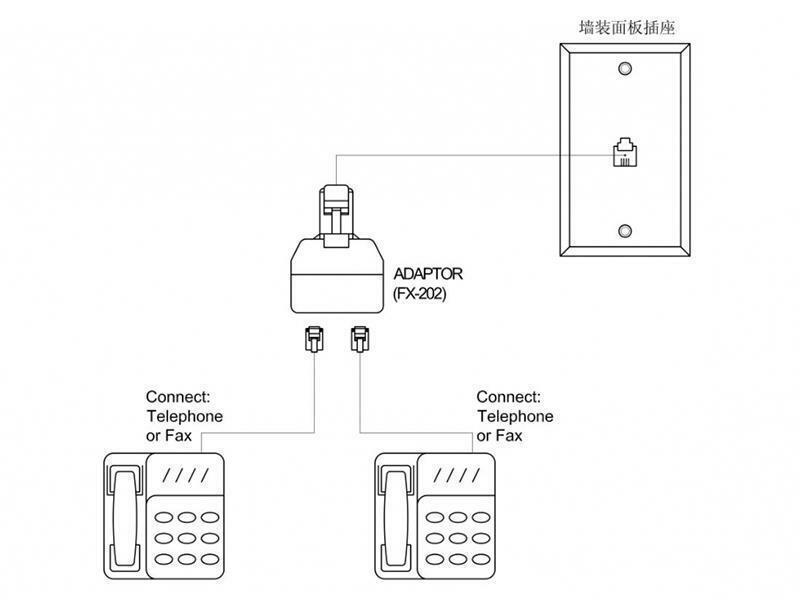 * The splitter adapter features two RJ11 female sockets, which can satisfy the needs of connecting maximum three telephones (or fax machines). 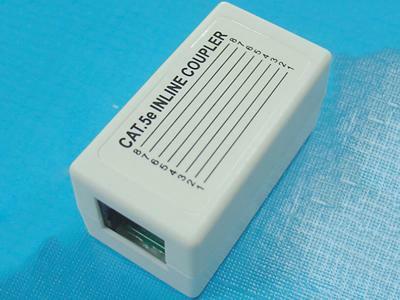 The in-line telephone cord coupler features two US (RJ11/RJ12) telecoms sockets and can directly connect two telephone wires. 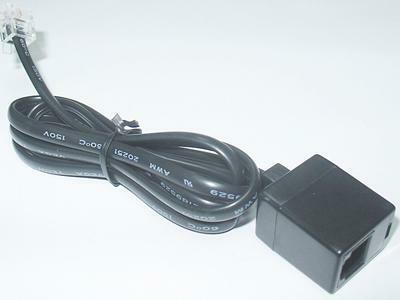 * Connect one R11 extension cord into one socket of the adapter and plug another end into the wall socket. * Plug another R11 extension cable into another socket, which can connect one telephone or fax machine. The adapter converter can achieve the direct connection of US ethernet RJ 45 interface. 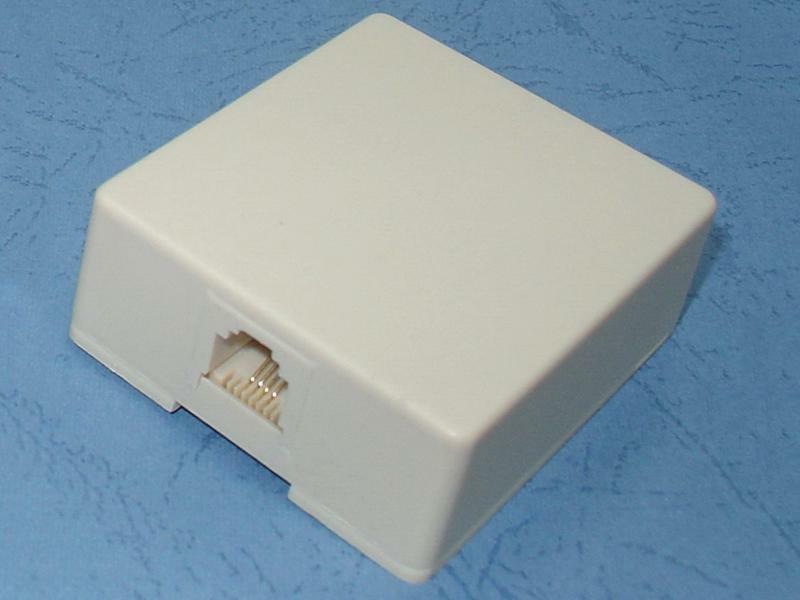 Internal PCB features anti-interference wiring design. 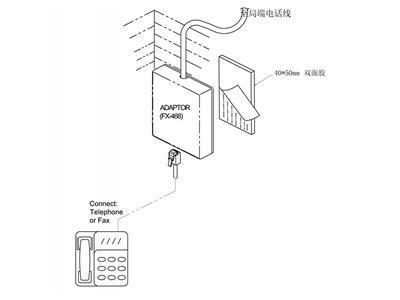 The communication adapter can directly connect two cables. 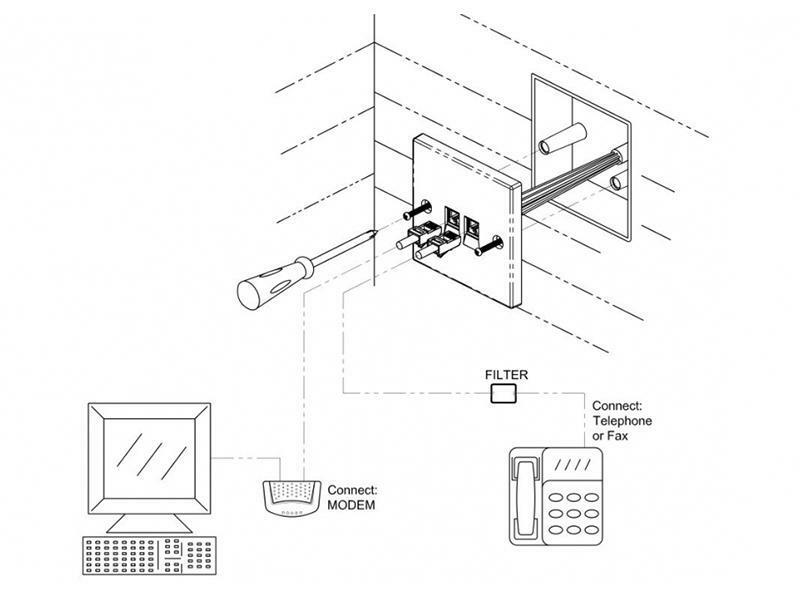 * Plug the R45 extension cable into another socket and connect its another end to the modem. 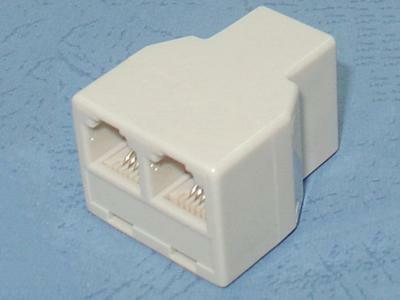 The adapter connector can achieve the direct connections of three US RJ11/RJ12 plug interfaces. 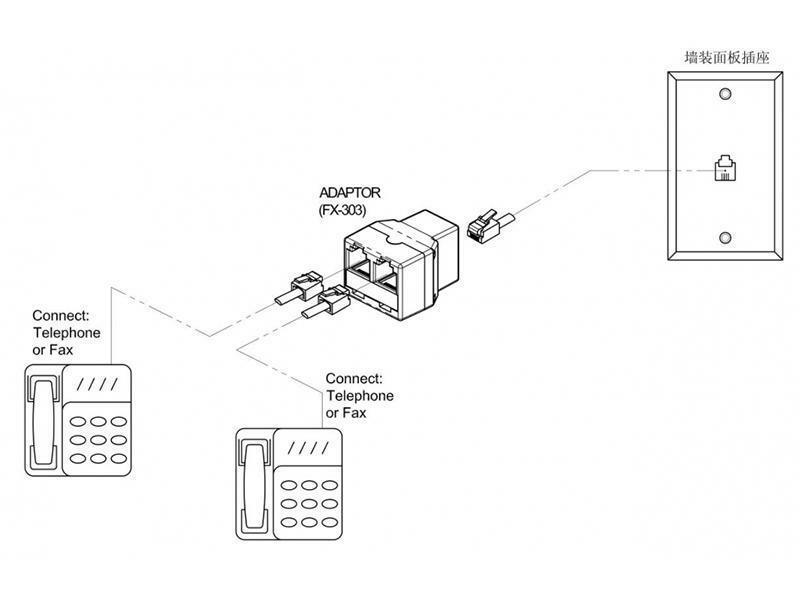 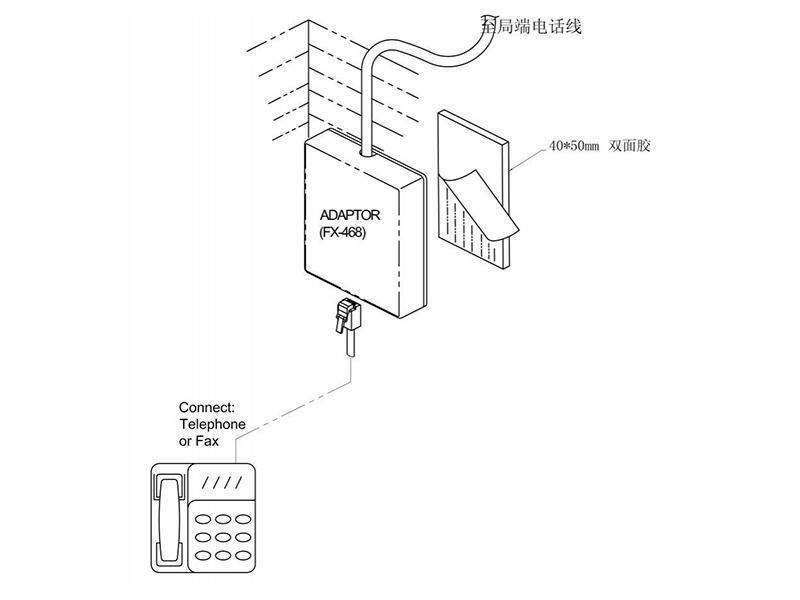 The splitter adapter can directly connect three telephone cables. 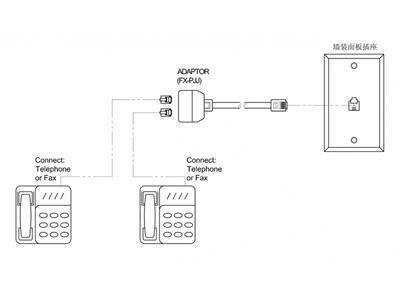 * Plug another R11 extension cable into other two sockets of the adapter and connect cable's another end to the communication devices, which can satisfy the connection needs of two telephones or fax machines. 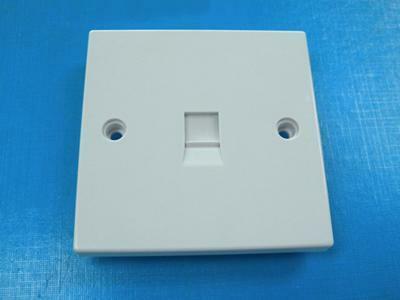 The wall mount plate outlet socket features the standardized size of 86*86. 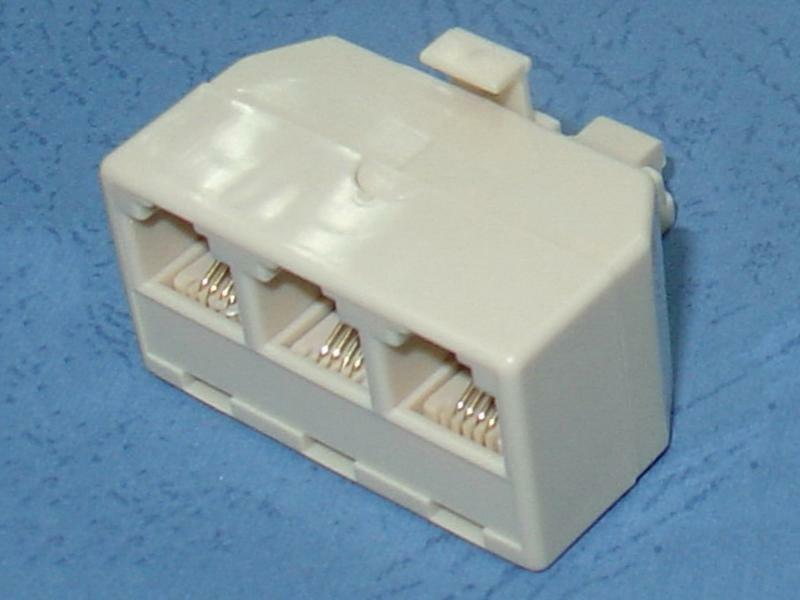 Connect the arranged inner cables to the terminals according to the identified locations. 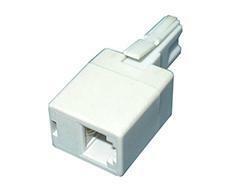 The settled US RJ45 socket can connect the modem and then connect network by one RJ 45 extension cable. 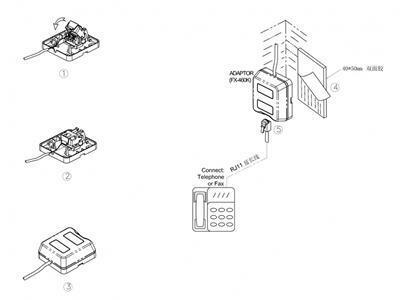 * Connect the arranged inner cables to the corresponding terminals according to the identified locations and then the signal will be linked. * Fix the wall jack on the inner box by attached screws. 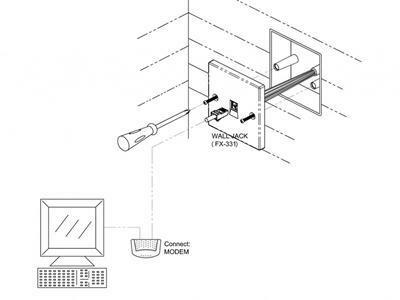 * Connect the wall jack and the modem by one RJ45 extension cable. 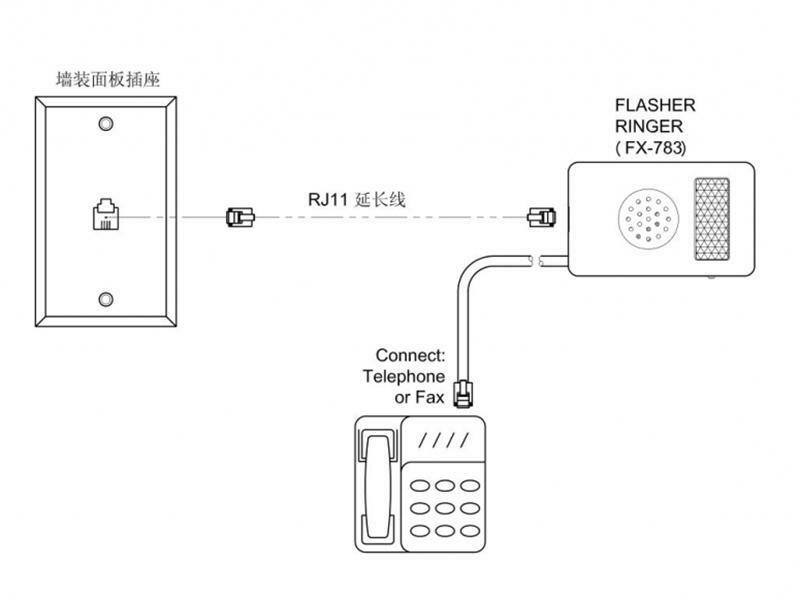 The telephone flasher bell will flash when receive the call, which is suitable for the hearing-impaired population. 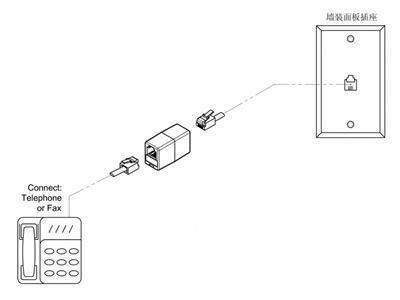 * Connect the arranged inner box cables to the corresponding terminals according to the identified locations and then the signal will be linked. 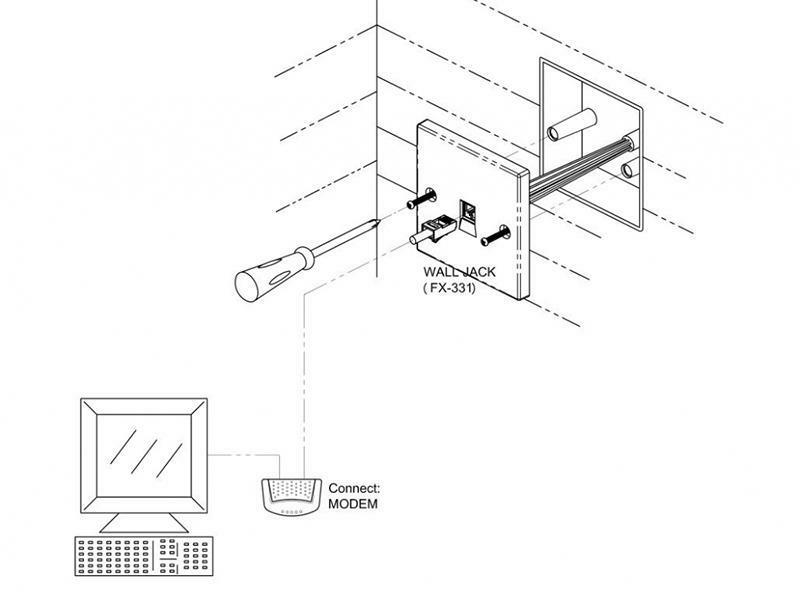 * Connect the wall jack (the socket printed a computer symbol) and the modem by one RJ45 extension cable to connect the network. 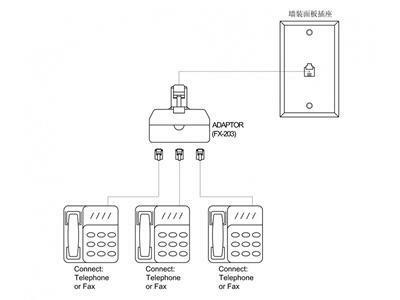 * Connect the wall jack (the socket printed a telephone symbol) and the filter by one RJ45 extension cable to call or fax. 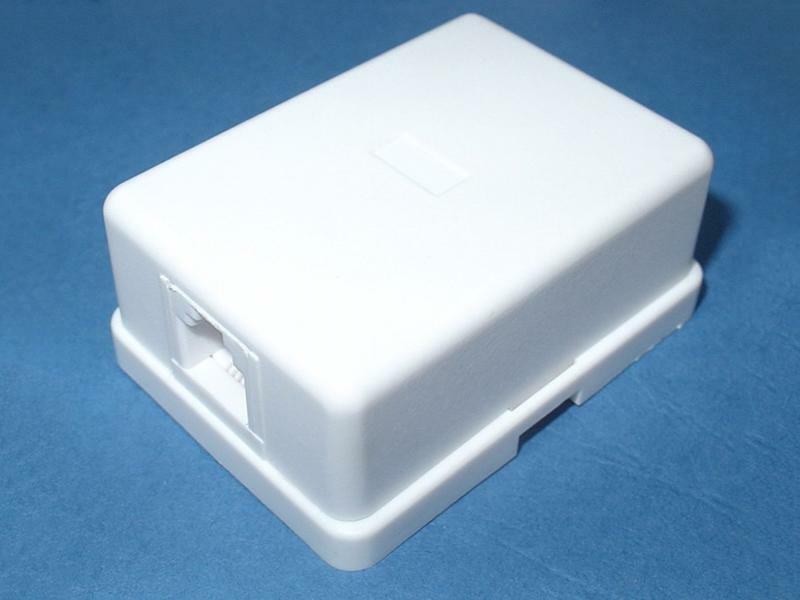 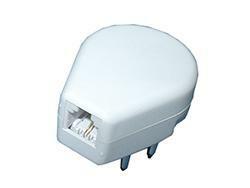 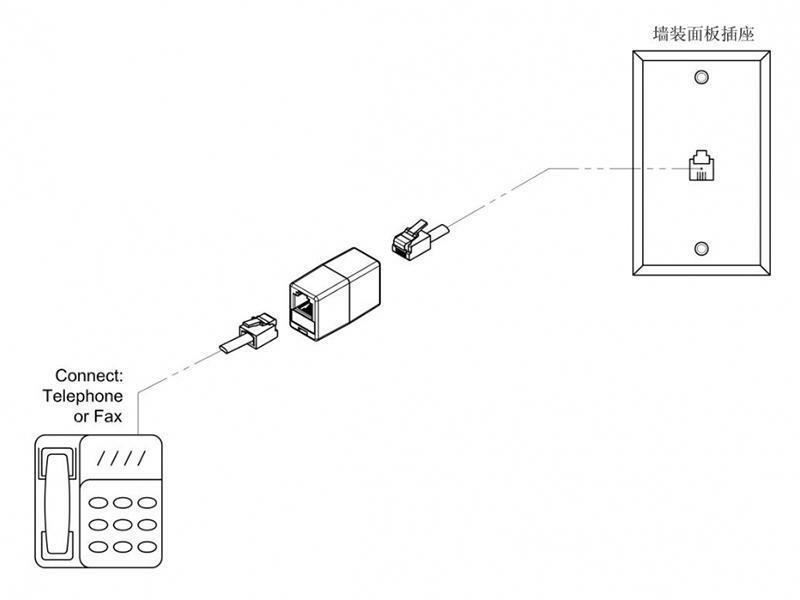 One telephone junction box with US RJ11/RJ12 interfaces, which is convenient for the connection of the telephone, fax machines or other communication devices with US plugs. 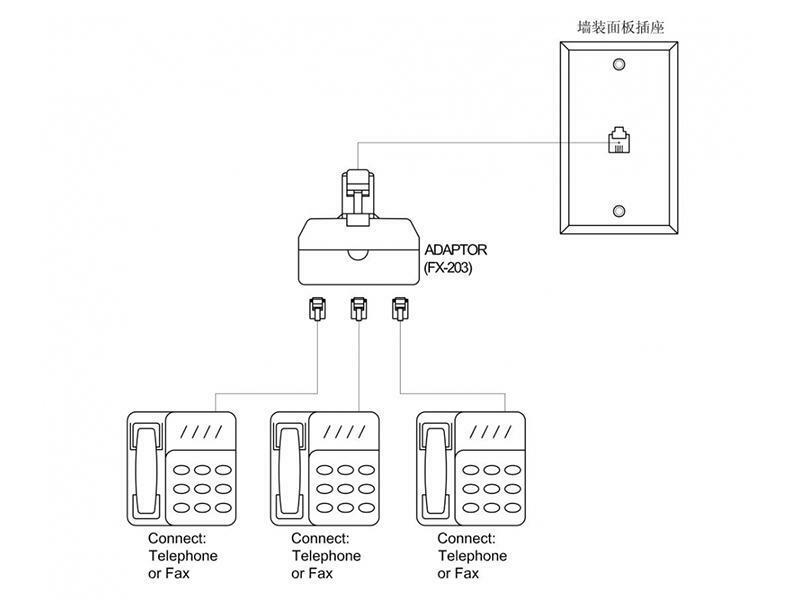 Connect the settled household telephone cables with the telephone adapter and attached double sides adhesive tape is available for fixing the junction box on the wall. 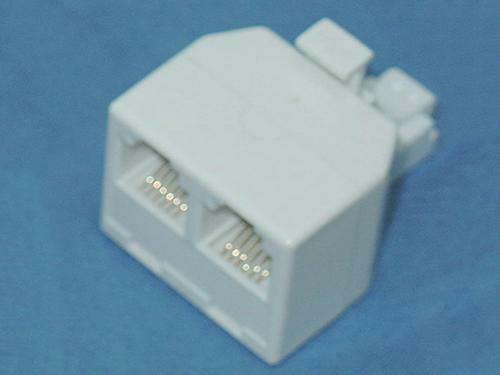 Open the upper cover, put the telephone wire on the internal insulation displacement connector as picture ①. Push down the internal cover as indicated by the arrow. 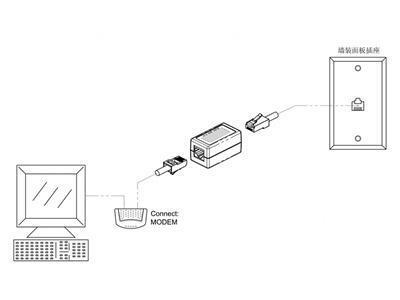 Then the signal is connected. 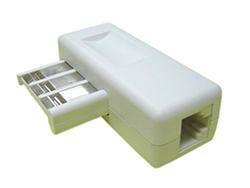 When you have done the below steps, it will be like as picture ②.
Remount the upper cover as picture③. 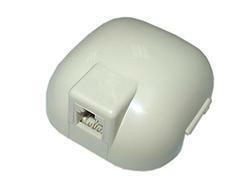 If necessary, the adapter can be fixed on the wall or elsewhere by attached double sides adhesive tape. 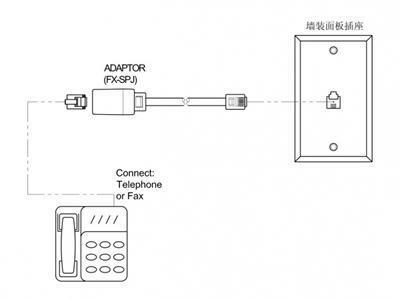 Connect the RJ11 socket of the adapter and the telephone or fax machine by RJ11 extension cable. 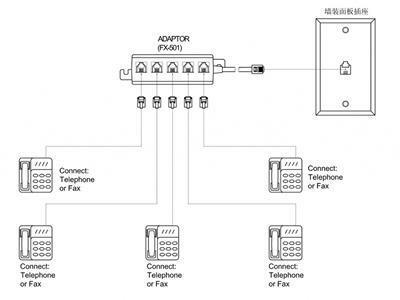 One telephone junction box with US RJ11/RJ12 sockets interfaces, which is convenient for the connection of the telephone, fax machines or other communication devices with US plugs. Connect the settled household telephone cables with the telephone adapter and attached screws and double sides adhesive tape are available for fixing the junction box on the wall. 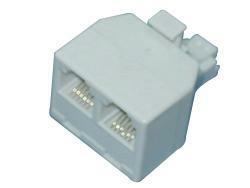 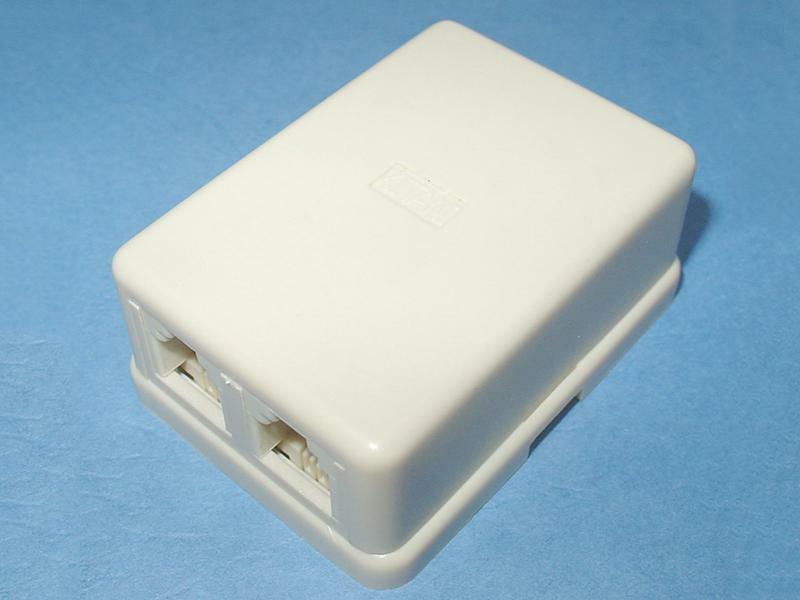 The adapter is an American junction box. 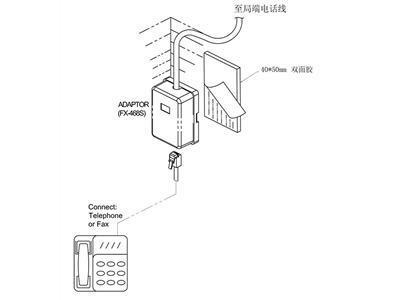 Lock the telephone wires inside the junction box and then the signal is connected. 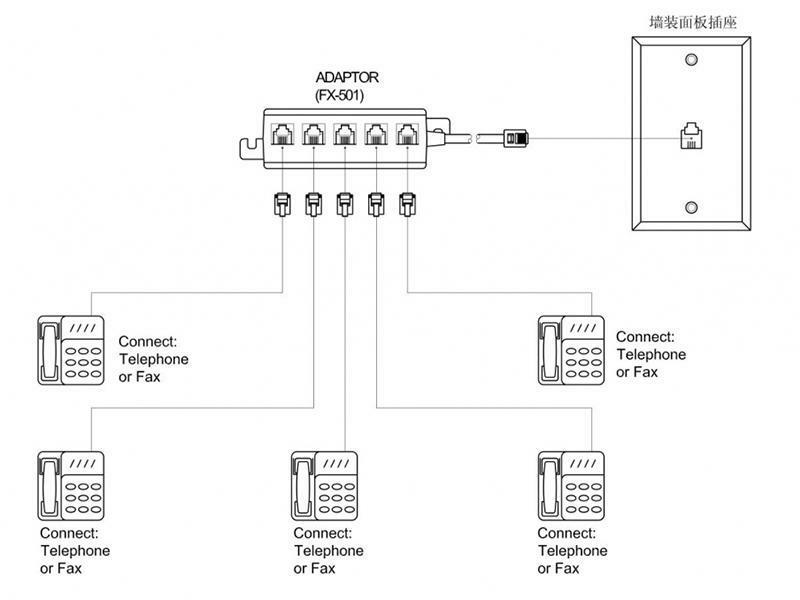 One telephone, fax machine or telecoms equipment can be plugged into the RJ11 socket of the adapter according to the needs. If necessary, attached screws and double sides adhesive tape are available for fixing the junction box on the wall or elsewhere. 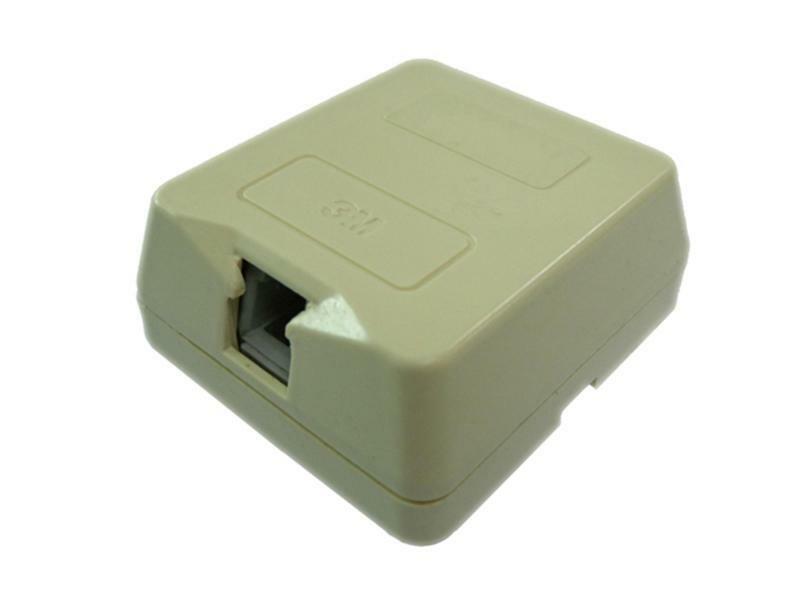 One telephone junction box with US RJ11/RJ12 interfaces, which is convenient for the connection of the telephone, fax machines or other communication devices with US RJ11/RJ12 plugs. 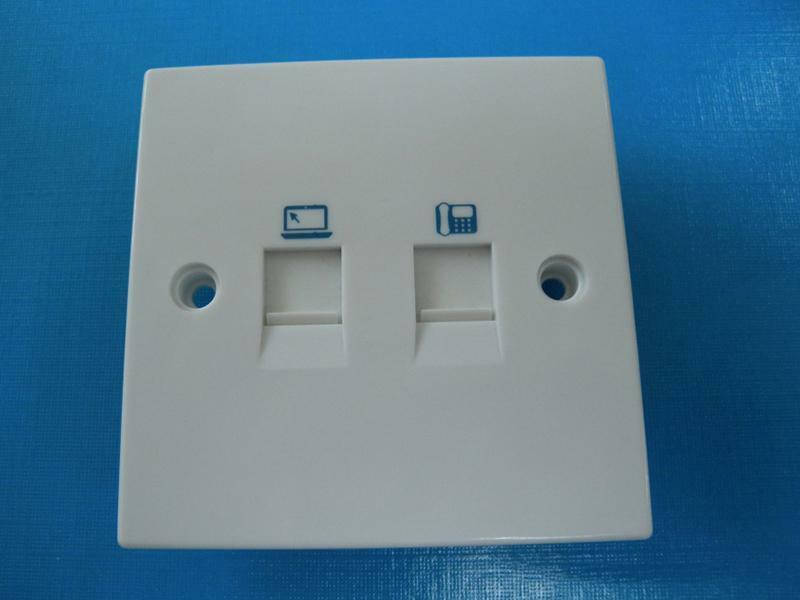 Connect the settled household telephone cables with the telephone adapter and screws and double sides adhesive tape are available for fixing the junction box on the wall. * The splitter adapter features two RJ11 female sockets, which can connect two RJ11 extension cables and satisfy the needs of connecting one or two telephones (or fax machines). A communication splitter adapter, expanding one single American (RJ11/RJ12) socket to five same standardized sockets, which adapts to the connection of five phones, fax machines or any telecoms equipment. 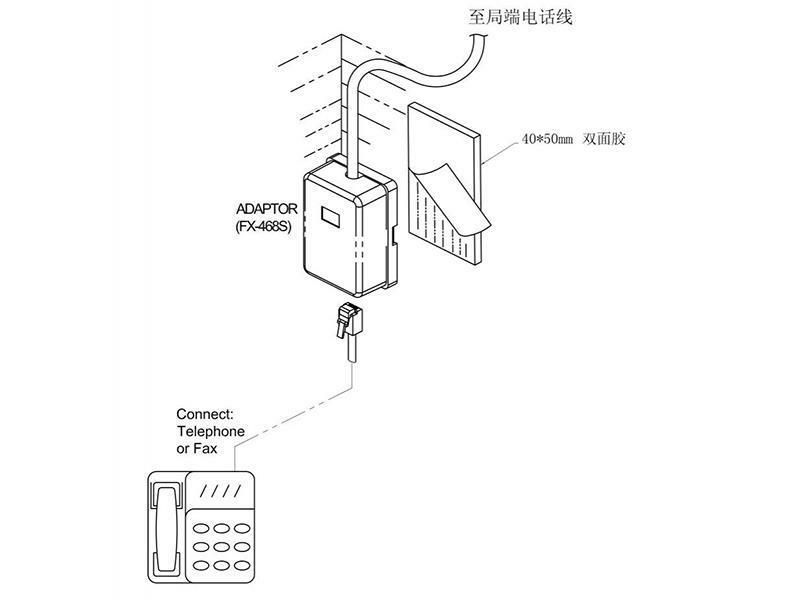 * The communication adapter is split into five, i.e. 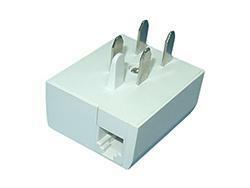 expands one socket to five sockets. 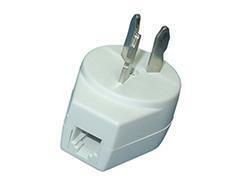 * Plug your adapter into the wall socket. 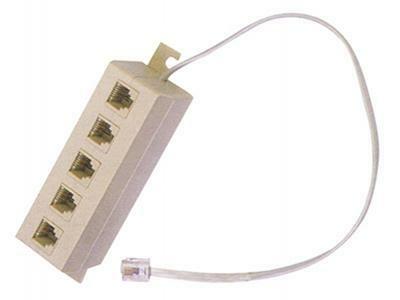 * The splitter adapter features two RJ11 female sockets, which can connect five RJ11 extension cables and satisfy the needs of connecting maximum 5 telephones (or fax machines). 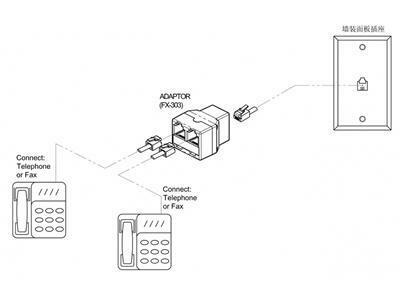 * Connect the RJ11 socket of the telephone ringer amplifier to the wall socket by RJ11 extension cord. 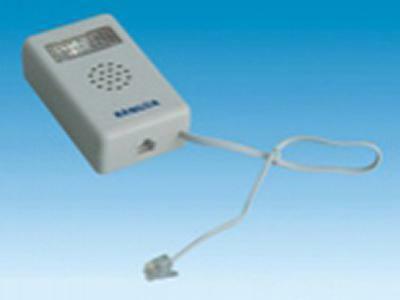 * Self-mounted RJ11 extension cable of the telephone flasher bell can connect the telephone or fax machine. 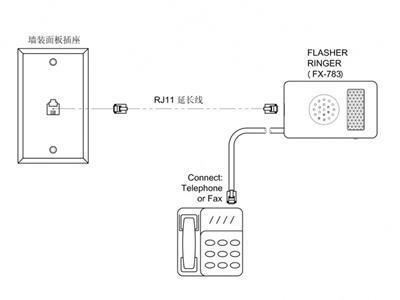 * Turn on the switch of the telephone ringer amplifier. 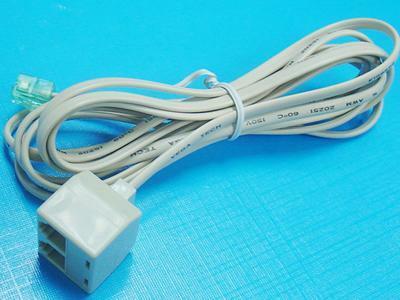 An American (RJ11/RJ12) extension cable and can extend the immobile socket to elsewhere you want. 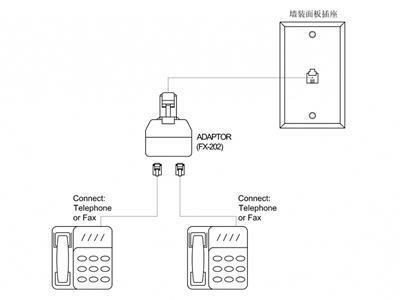 * The telephone splitter adapter is split into two sockets, and can be functioned to extend the fixed socket to elsewhere. US (RJ11/RJ12) extension cable and can extend the immobile socket to elsewhere you want. 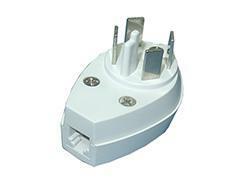 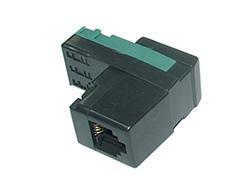 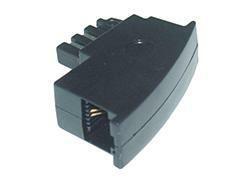 * The communication adapter can be functioned to extend the fixed socket to elsewhere. 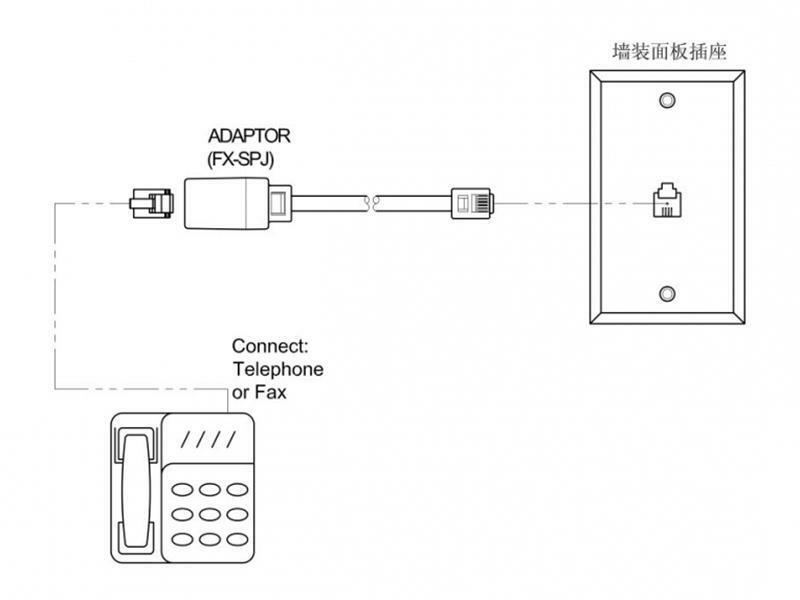 * The splitter adapter features one RJ11 female socket, which can connect one telephone (or fax machine) or other communication device according to the needs.